The CMBA profiles two classic movie blogs per month, on the 1st and 15th of the month. Today we're featuring Karen from Shadows and Satin. 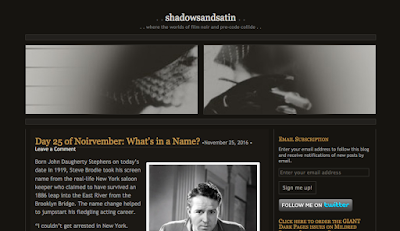 Shadows and Satin is one of those can’t-wait-to-see-what’s-happening-next blogs. 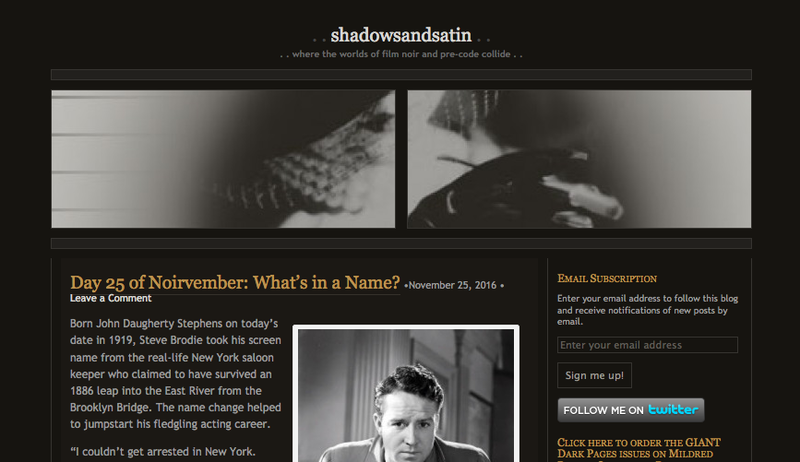 Karen’s site is dedicated to films noir and noir filmmakers, as well as pre-Code flicks, and she packs each post with juicy history and insightful commentary. As editor of The Dark Pages, she has an expert knowledge of film noir, even the more obscure films and actors in this genre. As a pre-Code fan, she shares her infectious enthusiasm and considerable research with her readers. One example is her essay on actress Lilyan Tashman. You can read about Ms. Tashman HERE. The CMBA profiles two classic movie blogs per month, on the 1st and 15th of the month. Today we're featuring Meredith from DearMrGable.com. 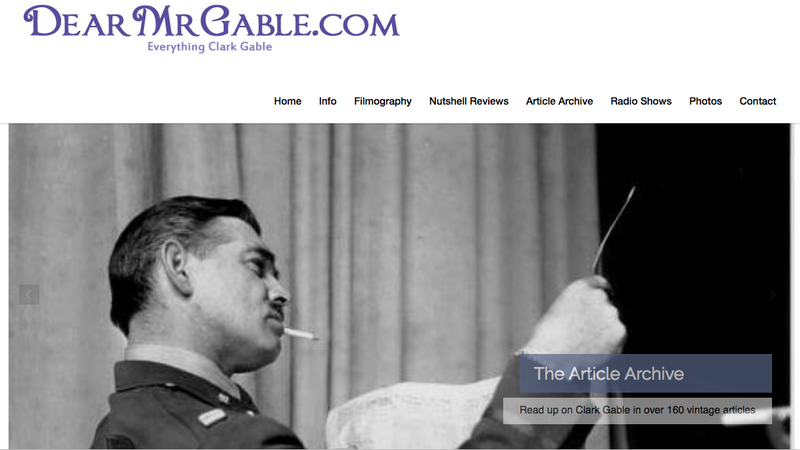 Every great movie star deserves a website – especially a legend like the great Clark Gable. Meredith of DearMrGable.com has created the ultimate online tribute to Gable, one that includes his filmography and brief reviews of every film he ever made, along with a listing of his radio show appearances, a photo gallery and biographical information. Meredith also tackles the gossip that surrounded Gable’s career and personal life, even the rumors about his marriage to Carole Lombard. You can read Meredith’s findings on Gable and Lombard HERE.